Fourth-grade teacher Donna Morton attended school in the same district that she will retire from this August after 37 years of teaching. Her legacy is one of dedication, encouragement and an engaging teaching style that makes her students and fellow teachers alike spout her talents. This spring two of Morton’s co-workers nominated for the American Legion Educator of the Year for the State of Maine. In that process, she was selected as the local American Legion Field-Allen Post 148 educator of the year. She will be honored at a Memorial Day celebration at the Windham Veterans Center. “A dynamo, always on the go, this woman does it all: Wife, mother of two, Scout leader, environmentalist, athletic, political organizer, grant writer and the teacher that every parent wants their child to have,” the proclamation read. Morton has a master’s in education and in computer technology. She has also raised more than $60,000 through grants for the Manchester and RSU14 community including the helping hands bridge that goes between the middle school fields and the Windham Public Library. “As a mother of one of her students, I am so grateful that we had the chance to experience her unwavering dedication, zest for education and love of teaching. Her all-embracing attitude, commitment and complete investment in each child from beginning to end are remarkable,” said Ashley Debrosse. Teachers that Morton has worked with recounted stories of her teaching, her contributions and her uniqueness. “After many long hours at school (after hours), no surprise to see Donna the next morning wearing a jumper she whipped up before retiring for the night,” said Izzy Booth who has known Morton more than 20 years. “She is one of the most resourceful and energetic teachers on the Manchester staff,” said aide Carol Thurlow, who has known Morton since 1965 when Morton babysit Thurlow’s two sons. In her resourcefulness, Morton requests water and milk cartons be sent into her class every year to use to construct an igloo in the classroom. Morton was designated by the State as a trainer for other teachers when computers were introduced into the classrooms with the statewide laptop program. “All of our 11 community days she has pulled off a slide show showing the students working on their project without a technical problem,” said art teacher Angelika Blanchard. “Mrs. Morton’s tireless efforts to technology growth in all – students and faculty – are incredible. She is an Energizer bunny that doesn’t quit,” said fourth-grade teacher Kelley Williamson. As a positive force in the school community, Morton spends extra hours to make sure that things are done and done well, said Deb Luce, Morton’s fourth grade team partner. 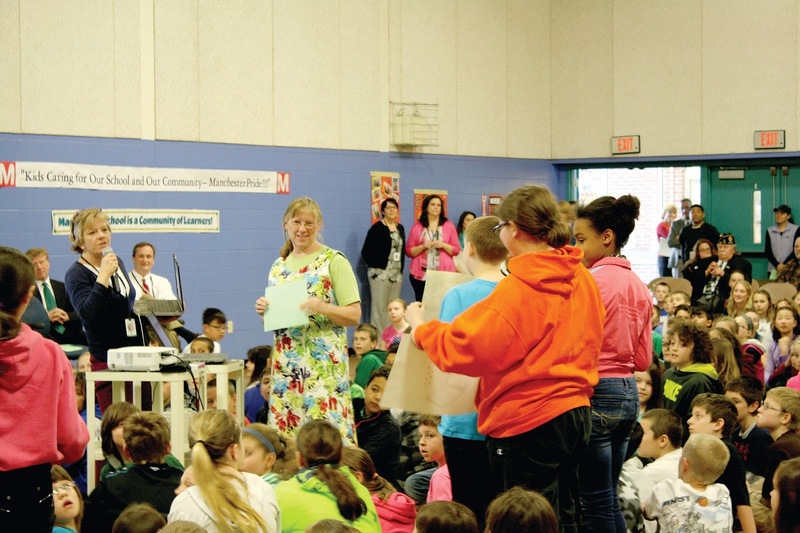 The whipped cream competition fundraiser developed by Morton is a fond memory for REACH teacher Jennifer Breton. “She brings a true love of teaching and the job of learning,” Breton added. Helpful is a word used repeatedly when Morton’s name is mentioned. Her co-workers have never known her to say “no” to anyone who needs help whether it is school related or personal. Her teaching style is described as fun. “Mrs. Morton wants her students to not only learn as much as possible, but have fun doing it!” said fourth-grade teacher Melissa Azzaratta. “She really gives 110 percent to her kids,” said fifth-grade teacher Jennifer Ocean. 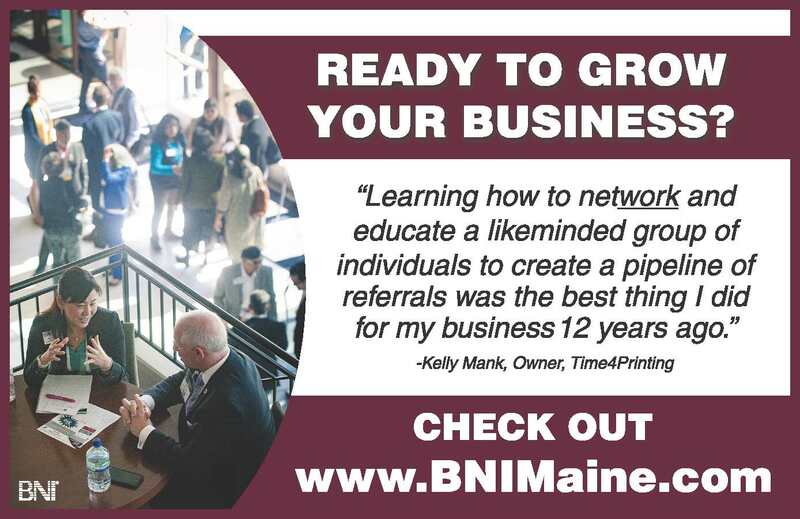 In addition to all of her school related successes, including Marco, the moose, which travels the globe, Morton is involved in the Windham Land Trust, the Linus Project and creating adult education programs that inspire an active lifestyle. Morton will be missed by the hundreds of students she has taught over the years, but she has no plans to go quietly into retirement. She plans to travel, paint, hike and more in the next chapter of her life. A new church in Windham parallels a revival that happened more than 40 years ago in the very same building. The Little Meetinghouse is the site of the new Shift Ministry, which meets primarily on Saturday nights at 5:30 p.m. 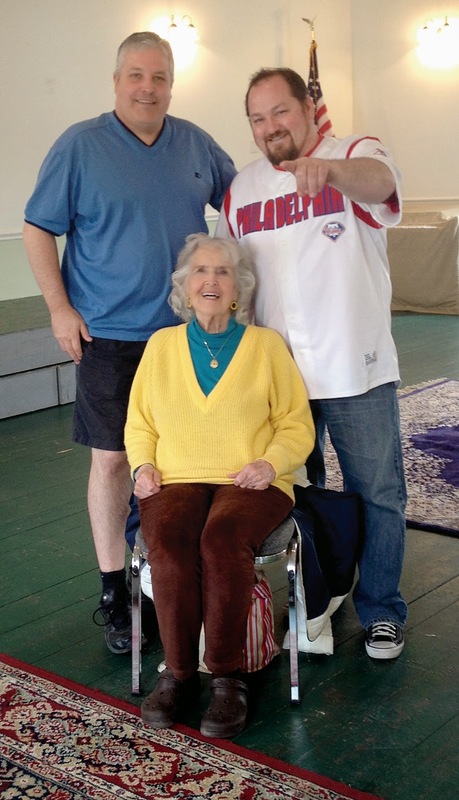 In 1970, the congregational church based at The Little Meetinghouse underwent a revival, remembered by longtime Windham resident, 90-year-old Shirley Saunders, who is now part of Shift Ministry as well as being a member of the Windham Assembly of God church. Saunders said that in 1970 a new pastor arrived to teach the word of God. One question that he asked her at their first meeting, “How long have you been a Christian?” made a huge impact in her life, she said. Saunders said that in 33 years of going to church, no one had ever asked her that. “Going to church was something you did on Sunday. You didn’t talk about it the rest of the week, you didn’t learn anything, it wasn’t the biggest thing in your whole life,” she said. She said she thought about that question all day, and that evening after her children were put to bed she asked her husband the same question. “For the first time in 33 years we talked about it,” Saunders said. Though that pastor only remained with the church for two years, and his replacement another two, members of the church had found something they were looking for, and out of that revival came two Assembly of God churches in Windham, said Saunders. Forty-four years later, Shift Ministry is starting a revival of its own. The creation of the church came from a desire in the community for something more, said member and Windham business owner Robert Corthell. “We wanted something a little bit more free spirited, something where we can express ourselves and love the Lord the way that he wanted us to without rules and regulations, plain and simple. We’re like minded people that got together,” he said. Scott Pyle spent 24 years as a youth pastor, and now leads Shift Ministry as their pastor. He draws a parallel to what happened in the 70s and what is happening now. “The people who gathered together back then were all looking for something more,” he said. “We all got together and said there’s got to be something more. There’s more to this than just slip in, slump down and slide out. There’s more to it than just having your name on a membership roll.” A core group of members spent a few months praying and casting vision, he said, and when they found the space at the Little Meetinghouse available they started holding services in early January. One of the goals of Shift Ministry is to operate as a church without walls, keeping worship going beyond the weekly services. “Church is not a place you go. We’re the church, that’s what Jesus said, we’re the church,” said Pyle. Regular service times are at 5:30 p.m. on Saturdays, though due to scheduling at the Little Meetinghouse there are sometimes changes. That day and time was chosen for many reasons, said Pyle. One of those reasons was to allow for people who attend other services to come to Shift, as well as allowing for other pastors to attend. “A lot of the reason behind the 5:30 Saturday service was so that we didn’t take away from other churches, but we could bless other churches by pouring into their people, pouring into their pastors,” said Pyle. Corthell added that they have a mantra. “We don’t compete, we complete.” He said they aren’t trying to take people from other churches but want to help local congregations and work in unity with them. Pyle said he wants people to know that everybody is welcome. The way people look doesn’t matter, the way people choose to worship doesn’t matter. “I want people to come and experience true freedom in the Lord. It doesn’t matter what your hurts, your habits, or your hang ups are, we’re here,” he said. Corthell added that reaching out to the kids in the community, giving them a safe place where they can be accepted, is another major goal. 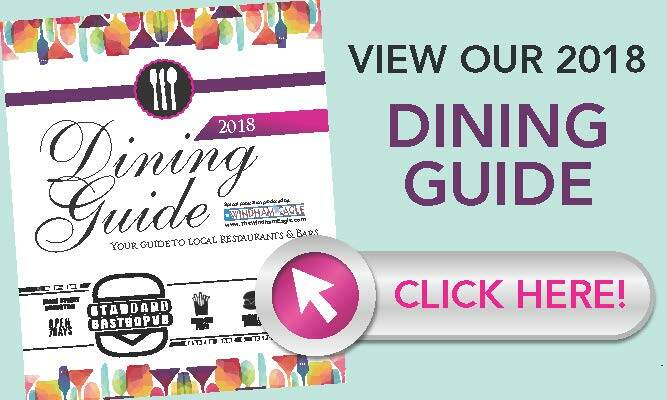 “We’re going to grow big enough that we’re going to be able to take care of the kids and turn them around, and get them straightened out in the right direction,” he said. At the present time, Shift does not have a youth program in place. Pyle said there is a need for Shift to have their own facility, where activities can take place several times during the week. 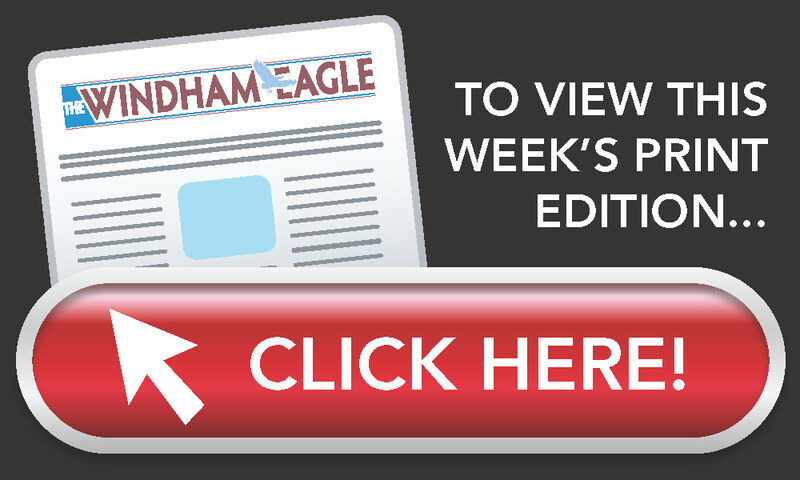 They have looked at some options, and plan to stay in the Windham area. Shift is a non-denominational, independent church where everyone is welcome. For more information, check their Facebook page or contact Pyle at skawtpyle@yahoo.com or 939-0442. 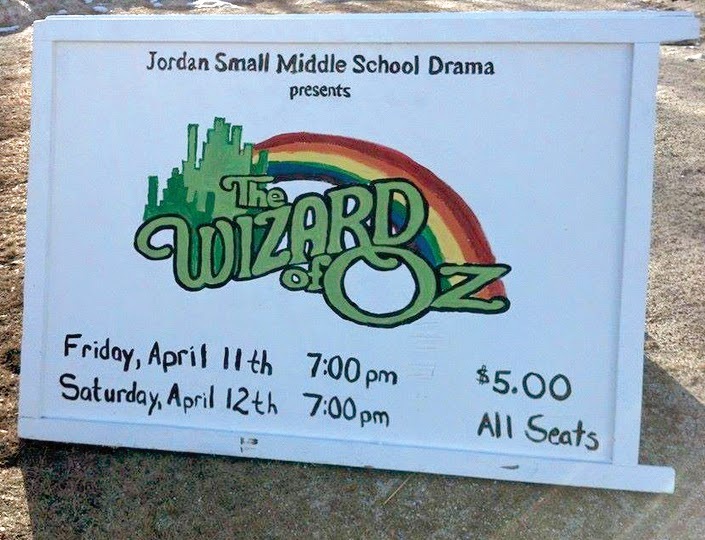 The Jordan-Small Middle School Drama Club rang in spring by presenting the all-time classic play, The Wizard of Oz. With two showings, Friday and Saturday night, 41 students took part in putting on one of the most memorable stories in history. As the lights darkened to begin, beautifully scored music took the crowd on a ride back in time as Dorothy was swept away with her little dog Toto, played by fifth-grader Aaron Rhoades. 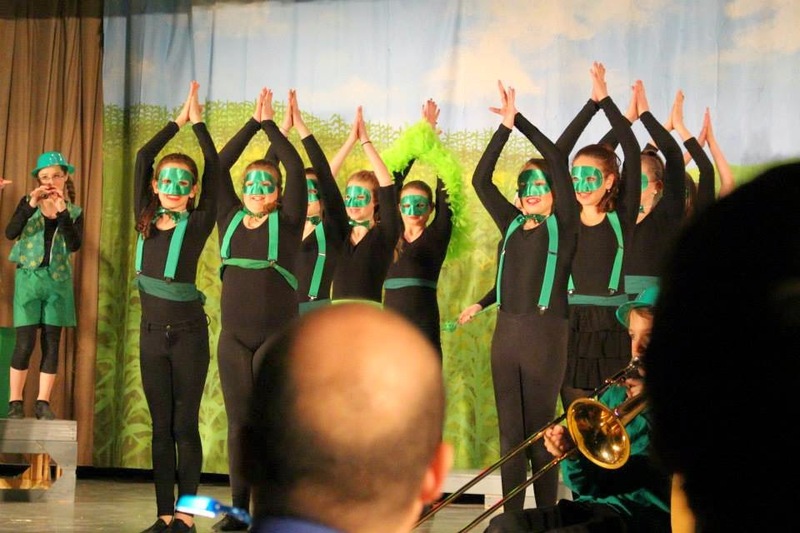 With creative special effects as well as neatly choreographed dance routines, the JSMS Drama Club wowed the guests that filled Roadrunner Gym on both nights. "It was really fun. 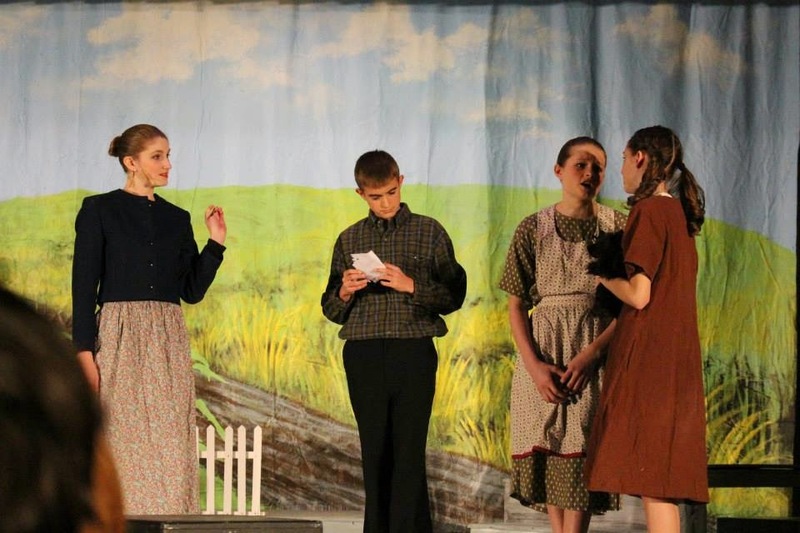 I was a little nervous to start but I settled in once it got going," said Hunter Dionne, an eighth grader at JSMS, who starred in the play as Uncle Henry, and also took on three other smaller roles. Hunter has been in the Drama Club for three years and has appeared in other plays, such as "15 Reasons not to be in a Play", and "Defying Gravity". Many of the cast doubled and tripled their roles and responsibilities to make the huge production a complete success. The swift-moving scenes as well as the prop and background changes, kept the story flowing and the audience hanging on every word. Bright costumes danced across the stage in flashes of color as Dorothy and her friends tried desperately to find their way back home. Auntie Em was played by 8th grader Carleigh Steele, a 2-year member of the drama team, who played two other roles as well. "It was really, really fun...a little tiring, but everyone put in so much work. 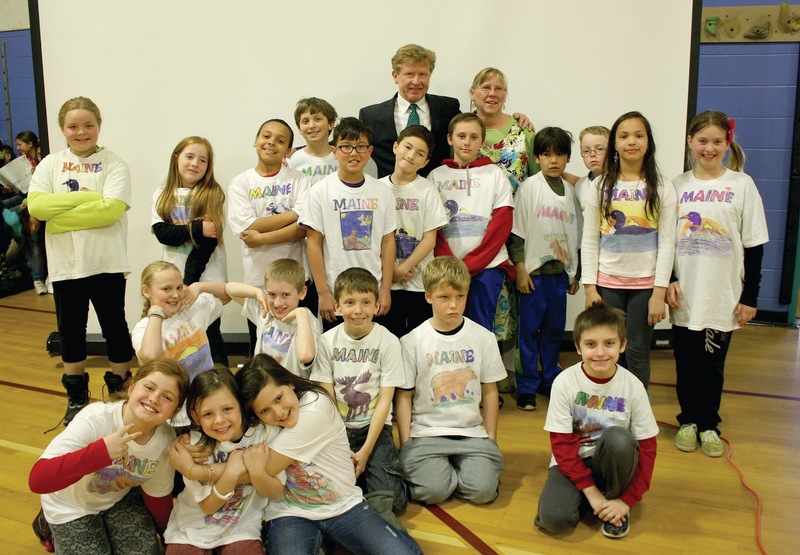 It was great to meet and work with the fifth graders who at first were shy about being in the play," she said. 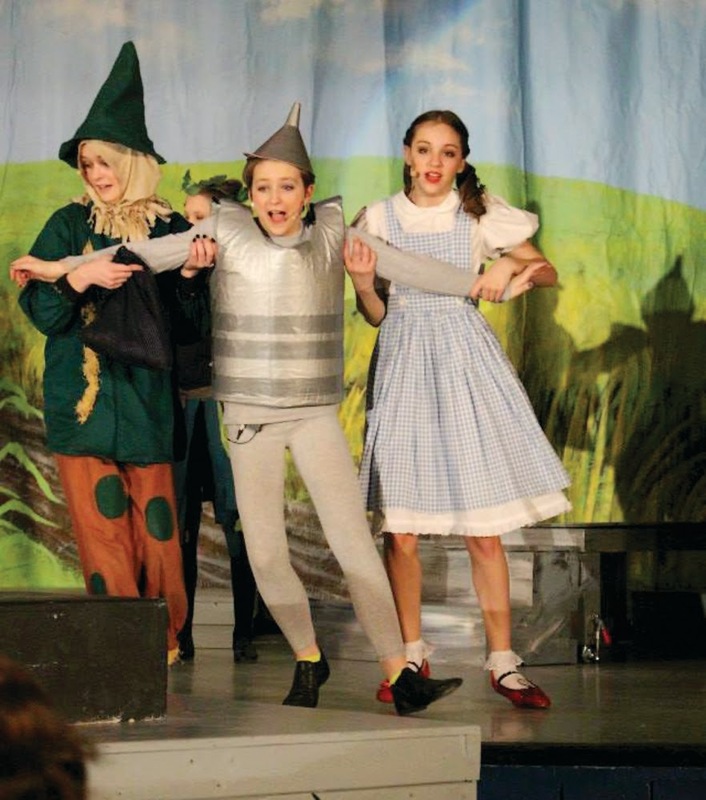 Dorothy Gale was played by eighth-grader Natalie Walker, the Tin Man was played by sixth-grader Savana Bradford, the Scarecrow was played by eighth-grader Maggie Nunn and the Lion was played by eighth-grader Sophey Potter. The Wicked Kitch was played by Dani Meader. 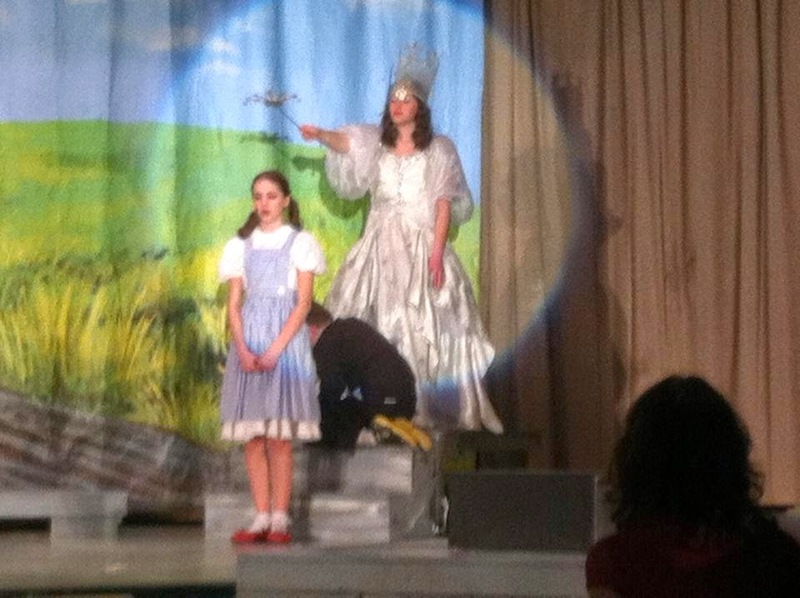 Glinda was Nora Laprise, an eighth grader, and the Wizard of Oz was played by eighth-grader Walter Blackman. After intermission, the story ramped up with intense action, beautiful songs, and funny lines that kept the capacity crowd peaked with curiosity until the very end. 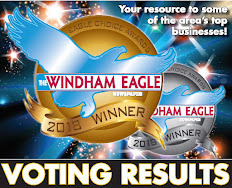 In what was a total RSU14 and local business effort, there are many in both towns, (Raymond and Windham), who combined to help make this year's play a very special and unique experience. 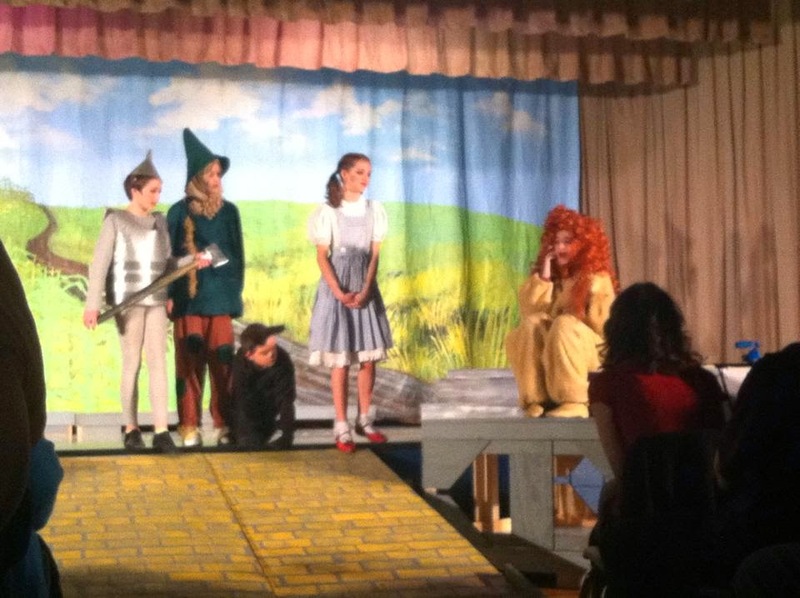 "I am always amazed by the hard work and dedication of our drama students each year. 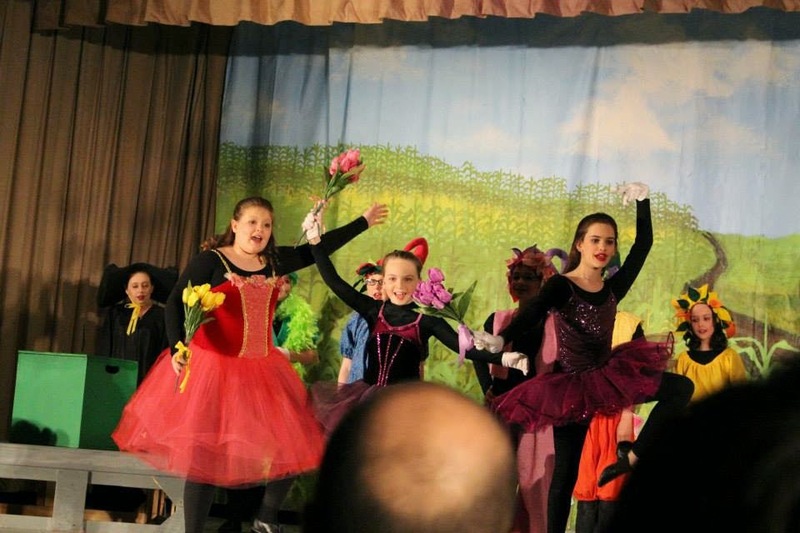 Every actor and stage crew member worked to put together a charming version of The Wizard of Oz that showcased a lot of talent, cooperation and commitment. The cast made considerable progress from auditions to opening night, and their confidence developed and grew over the many weeks of rehearsals. It was a blast to work with these delightful and capable performers! 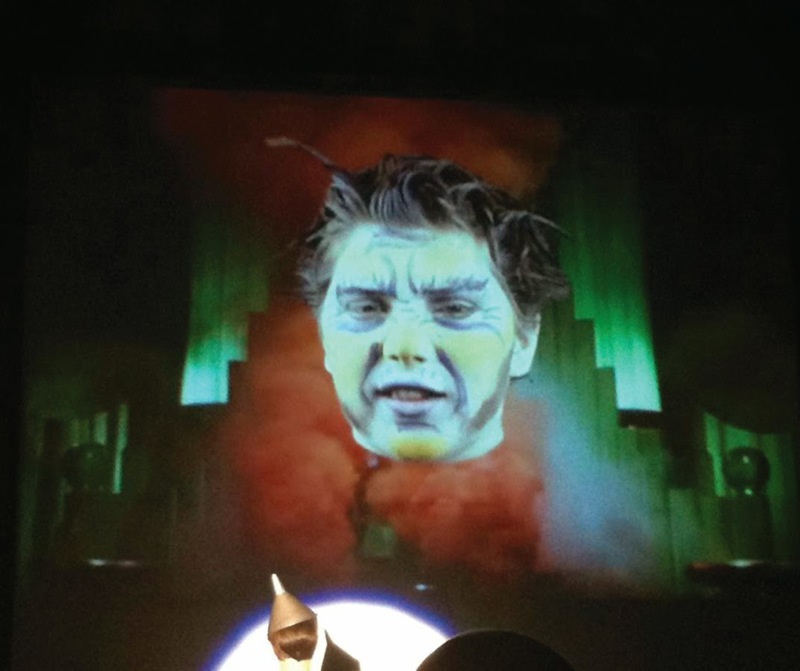 ", said Patricia Valley, who is a teacher at JSMS and combined with Dr. Pamela Chabora to choreograph The Wizard of Oz. 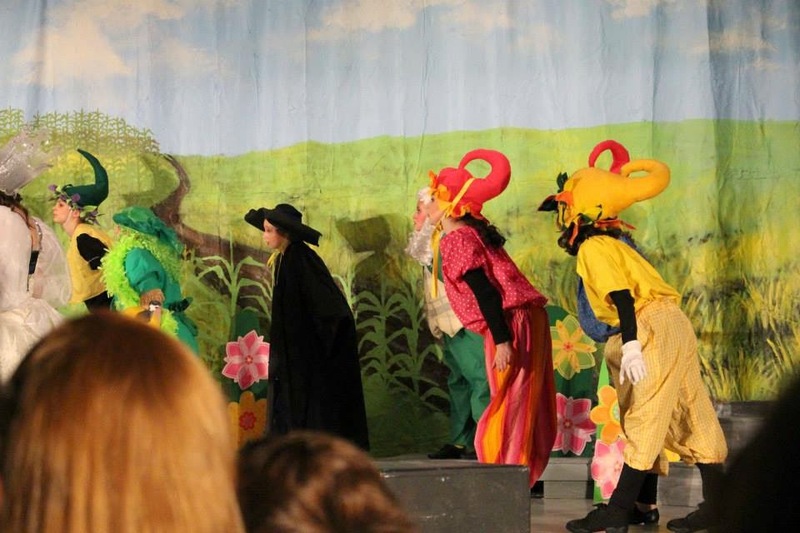 From beginning to end, the JSMS Drama Club members all had a hand in every aspect of the play. 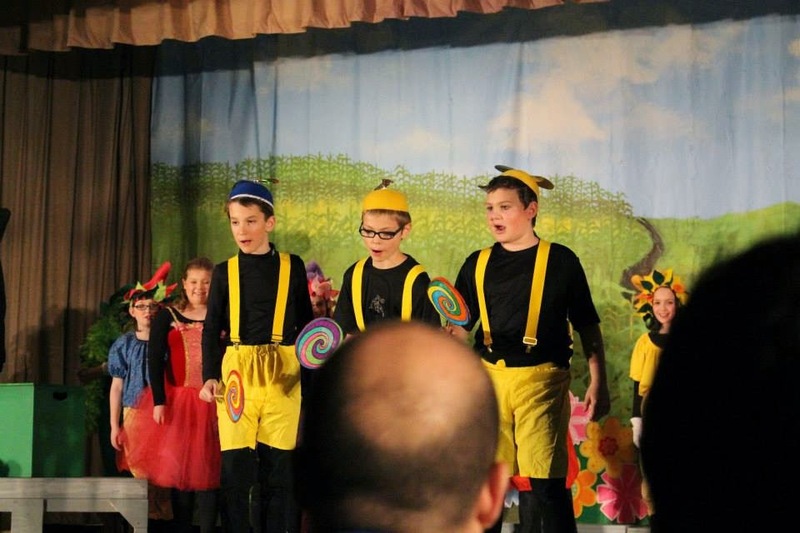 Upon coming out to take their bows, the cast and crew were treated to rousing ovations and cheers on both nights, by their classmates, teachers, family and friends. 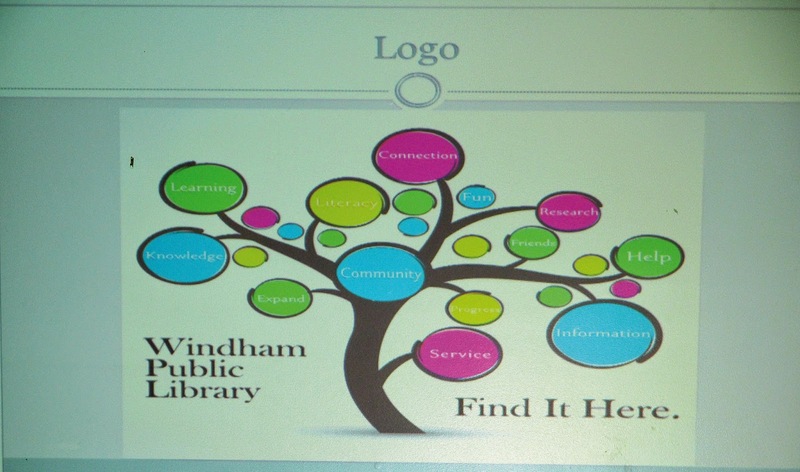 To celebrate National Library Week, the Windham Public Library celebrated with a gathering featuring speeches by a local author and a local illustrator, as well as Town Manager Tony Plante and town councilor Donna Chapman, and also unveiled the new logo and library cards that went into effect at 4 p.m. on Monday. Maine State Librarian Linda Lord was on hand for the festivities. “Libraries are busier than ever,” she said, dispelling the idea that Kindles and other electronic book reading devices are making libraries obsolete. 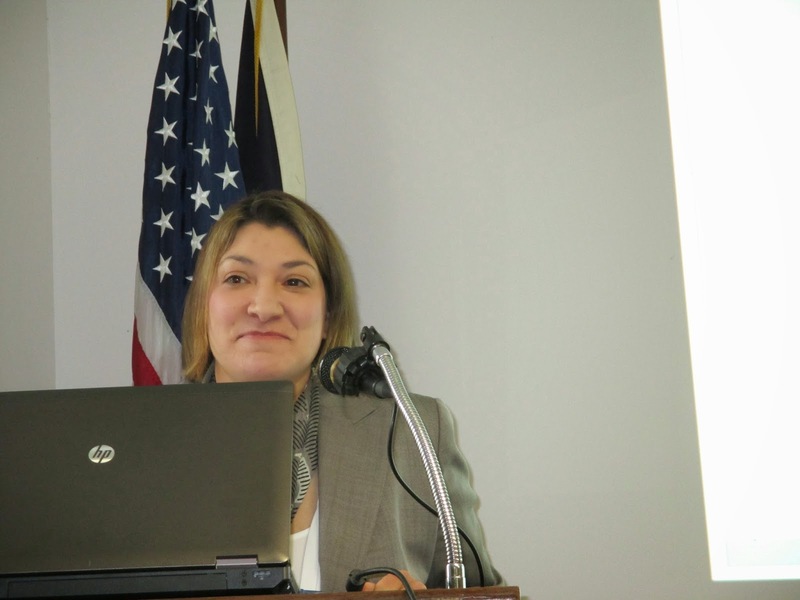 When she spoke to the audience, she gave examples of the value libraries have for people who need to be connected, get a job and need resources. One woman she said had never done a resume, applied for a job, but she knew to go to her public library to ask for help from people who could help. A video producer from mid-coast Maine often sat outside his public library for the broadband Internet service that enabled him to email his documentaries faster than he could from home. The final story happened in Rockport. A bride in full wedding regalia ran into the library asking for Internet access. She had forgotten her vows and needed to get into her email to retrieve them. 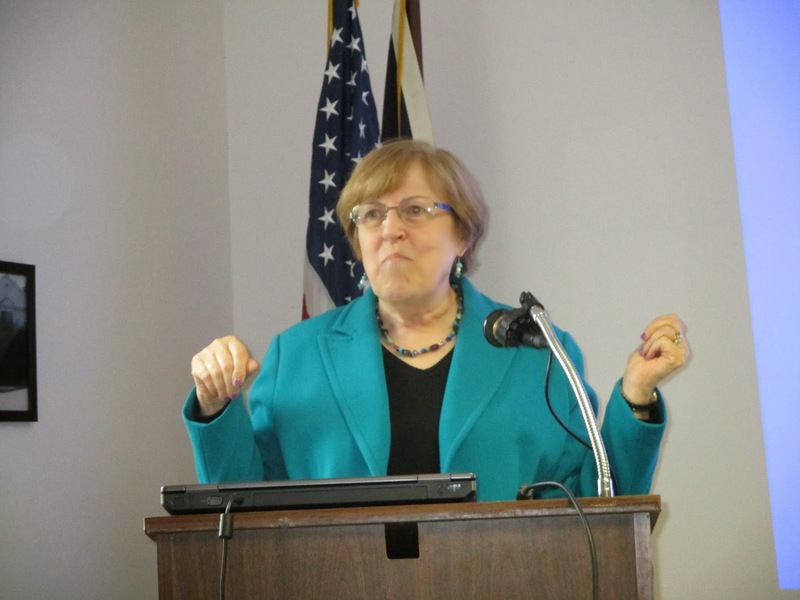 “This is not the future of libraries…I’m describing what Maine libraries are doing today,” she said. Photo -Virginia March, 9, and Tyler Miller, 10, sign the Libraries Change Lives - Declaration for the Right to Libraries. With over 100 people in the library, library director Jen Leo told about her introduction to libraries at an early age. “They showed me a love of reading and a love of libraries. I found a home in libraries,” she said, naming the Riverton Library as her favorite growing up. “I know the importance of libraries for the next generation,” she added. Maine author Julia Spencer-Fleming spoke to the gathering about the constant in her life – libraries. “Post to post, state to state, country to country, the first thing we’d do is get a library card,” she said. As a military child she bounced from place to place. “But the little house was still on the prairie…These are my friends who were always with me,” Spencer-Fleming said. She was 7 years old when she got her first library card. “I don’t think I was prouder when I got my driver’s license,” she said. “No one can keep up with a voracious reader without a library,” she added. “It never occurred to me that there are people behind those books – people who live in your community.” She said she wouldn’t be surprised to see that some of the library users of today will grow up to write the books that people in our community love to read in the future. Maine illustrator Kevin Hawkes, illustrator to many books, including “Chicken Cheeks”, told the story of his mother’s life on a farm in Utah, many miles from the library, where the limit was one book checked out at a time. She wrote a handwritten letter to a Salt Lake City library because she’d heard that larger libraries were discarding books. She asked for those books. She forgot about the letter and at the end of June, the mailman pulled up to the front yard with a refrigerator-sized box in the back of his truck. He hefted the box out and inside were dozens and dozens of books all for her. “She lived off those books,” he said. After the speeches, everyone was invited to sign the declaration and then were told they could use their old library card to get a new card featuring the new logo. The logo designed by Leo and a friend of hers, does not mention specific services, but does point out what a library is and can do for anyone.